When entrepreneurs start businesses, they are susceptible to making mistakes that others have made before them, climbing an unnecessarily steep learning curve, and burning through dollars and emotional energy. Without the help of an experienced mentor and some principles of start-up management, it is no wonder that many start-ups are not in existence 5 years later. Yes–success stories abound–mainly because few want to read or write about businesses that didn’t make it! Trying to launch a business in an industry or area where you don’t have any prior experience can quickly lead to failure. Before you make the leap into starting a business, make sure you focus on your talents, passion and experience to pinpoint the right business for you. Combine your enthusiasm, experience and knowledge with a solid, organized business plan if you really want to succeed. Trying to go it alone will only hamper your efforts to grow and expand your business. Initially it makes sense to cut costs by working alone, but soon enough you’ll need to make intelligent, calculated decisions about working with like-minded individuals to help your business grow. Learn to adapt as you grow your business. Don’t be afraid to change your target market or scrap unsatisfactory marketing initiatives. Recognize the fluidity of your small business, focus on what positively and negatively affects your business plan, and adjust your growth model accordingly. You engage in a great deal of risk when you launch a small business, and most of it involves your personal finances. Learn to quickly identify errors in judgment, determine why they occurred, and make immediate adjustments so they don’t happen again. Continue to take risks as your business evolves. If you encounter an idea to expand your business that feels “risky,” research the pros and cons of the concept. If the idea still seems viable after your analysis, go for it! 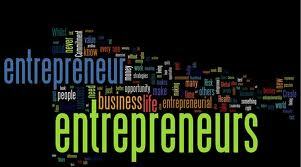 No successful entrepreneur ever let money stand in the way of achieving business goals. If you have a great business plan, a passion for the concept, and you’re willing to work hard, you can always find ways to fund your business proposition. Cut costs in your everyday life to free up capital, apply for an SBA loan, approach angel investors, or even approach friends and family after you’ve bootstrapped as much as you can. If you can’t find funding, you don’t have to give up on the business idea altogether. Timing also plays a role in business success. It might make sense to start more slowly, and to put off aggressive expansion efforts and attempts to find additional funding until your business begins to show a steady profit. http://www.Entredot.org is one approach to what entrepreneurs SHOULD do–come check it out!